Conor Hunte was called up to the Under 16 squad in 2011/12. 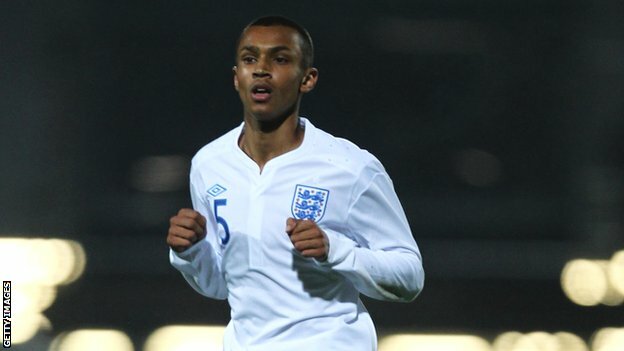 Chelsea have secured the services of youngster Conor Hunte for another three-and-a-half-years. With Manchester City, United and Liverpool chasing the 16-year-old midfielder, it is a real coup for Benitez who sees him as one for the future. City have been tracking the midfielder since he impressed in a youth team game that saw Chelsea win 2-0. He has already appeared three times for the England Under 17 side and is highly regarded as a bright prospect for the future of the English game. He was called up at the start of the 2011/12 campaign for the Under 16 side but rapidly progressed through the ranks. Chelsea’s other new signing, Wallace, takes part in the South American Under 20 Championship this week.